by Charlaine Harris | Mystery & Thrillers | This book has not been rated. 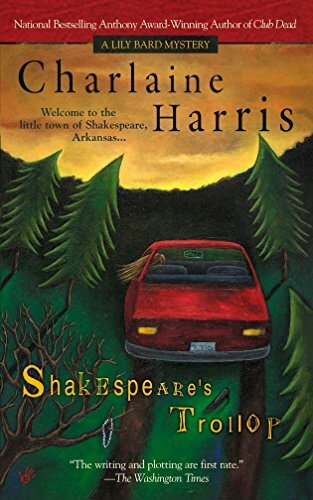 Shakespeare, Arkansas, is home to endless back roads, historic buildings, colorful residents--and the occasional murder. It is also home to Lily Bard, the local karate expert/cleaning woman with a particular knack for finding skeletons in closets. But when the local woman of ill repute is found murdered, being familiar with her dirty laundry could make Lily the next Shakespearean to die. Found this on sannuli's wishlist. Enjoy! What can I say, had to take this with me even if I already have a copy in my shelf... but no worries I have plans for this!